Let me introduce two of the winemakers participating in the March 29 and 30 Garagiste Festival: Southern Exposure: Ron Hill, owner and winemaker of a-non-a-mus of Orcutt, and Angela Soleno, owner and winemaker of Turiya wines, based in Lompoc. Hill pours during the grand tasting Sunday, and Solena on Saturday. This is his second trip to Southern Exposure, but her first. “My case production in 2013 was 340 cases, and consists of small lots of rosé, viognier, syrah, grenache and pinot noir. 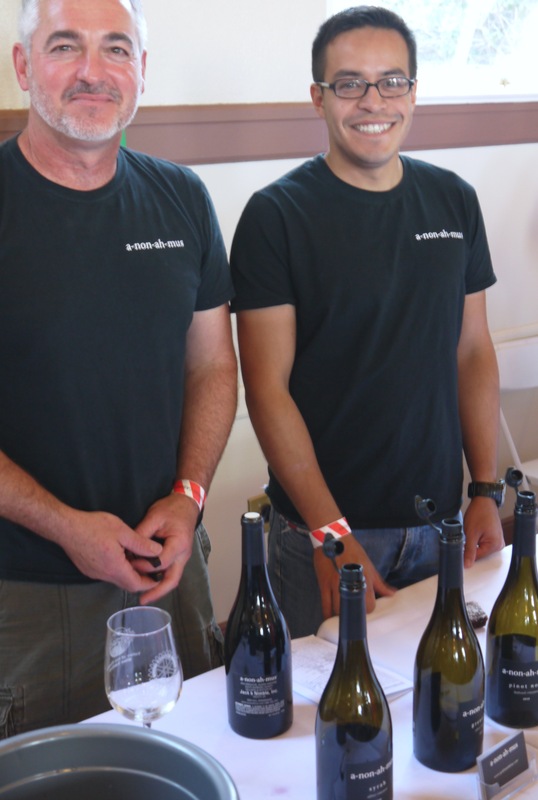 “I make my wines in a small corner at C2 Cellars in Orcutt, and I would like to give a big shout out to the Cuevas Brothers and crew for putting up with me these last three years. “I live in Santa Maria and have two Rhodesian Ridgebacks — Jack and Lily — that have appeared in more wine-related publications than I have (how’s that for being anonymous!). I asked Hill, a native of Kansas, how he came up with the name of his label, which, to be honest, is quite unusual. Like many others, Hill wanted his label to “be about the wine” and not simply the name on the bottle. Hill has started a wine club for a-non-ah-mus and hopes to grow slowly, with a goal of 500 cases by next year, he noted. In addition, he wants to start sourcing grapes from “unique little vineyards that aren’t that well known, and plans to bring grenache blanc, mourvèdre and a blend into his line up. Without a tasting room, Hill offers tastings only by appointment. Hill left a long-term career as a respiratory care practitioner, both in Kansas and — seeking a warmer climate — Arizona, followed by California. (Note: When you meet Hill, ask him about the incident involving a long scarf and a snow blower). After about 20 years working in hospital ICUs, Hill, now 53, wanted a change. He caught the winemaking bug “quite by accident” from a neighbor when he lived in San Jose. Years later, Hill recalled, “I took a bottle of my neighbor’s garage wine and ran every test I could in the lab at the winery where I worked. As is often the case with the tiniest of wine makers, who are meticulous in crafting wine, Hill’s friend’s “garage” wine had “perfect numbers” despite never having been tested with a pH meter or ebulometer, he said. In 2001, Hill began his winemaking career in earnest as a harvest intern at Babcock Winery, where he worked his way up to associate winemaker. He remained at Babcock until 2011, when he left to focus on being, well, a-non-ah-mus. I caught up with Angela Soleno at Corner House Coffee in Los Olivos early in March. Several years ago, I met Soleno in her previous life — working in marketing and shipping at Consilience Wines in Los Olivos, “wearing many hats,” she recalled. She worked there for about six years. Now she wears just one hat — winemaker — and, in fact, has just left her “day job” of two years, as caretaker at Figueroa Mountain Ranch. “I’ve found my calling! I’m done,” Soleno laughed, obviously excited about what lies ahead for her label. Her first vintage was three different wines, all reds, with a total production of 96 cases. Soleno’s focus is “mostly Bordeauxs and some sangiovese,” made with grapes from one of the region’s best sangiovese sites, Stolpman Vineyard, on Ballard Canyon Road. Because she started small and has stayed that way, Soleno still has some of her initial vintage left for tasting – and sales. Like her 60/40 cabernet sauvignon and syrah blend, “Perpetual Bliss,” with grapes sourced from Camp 4 Vineyard in the Santa Ynez Valley. Again, like Hill, Soleno doesn’t have a tasting room, but is more than happy to allow by-appointment tastings inside the winery space she shares with Peter Scott of Scott Cellars on F Street in Lompoc. And, while she likes white wines made by other winemakers (Tessa Marie Parker’s sparkling vermentino, for example), Soleno vows she’s “never gonna make a white wine” herself. 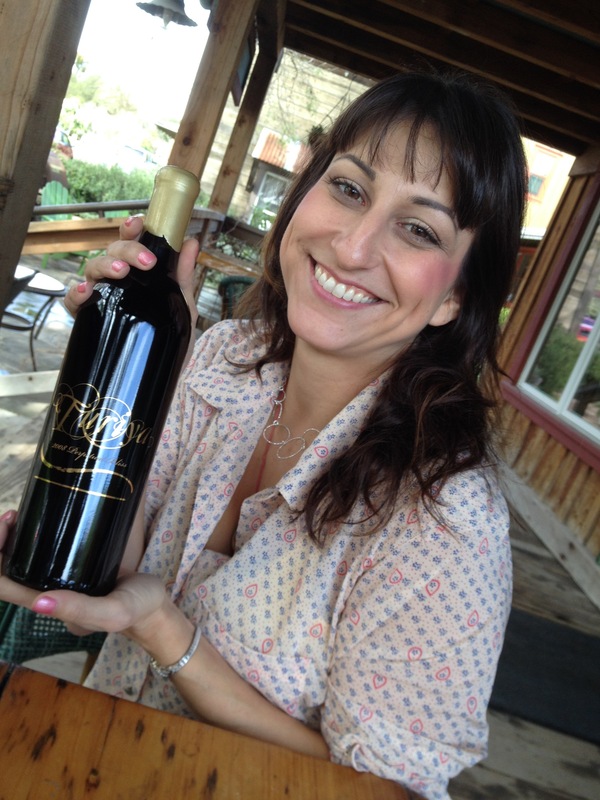 Soleno is a big fan of the natural acidity in wines, especially reds, especially Italian reds, and looks forward to getting her hands on some Aglianico, perhaps from French Camp Vineyards outside Santa Margarita in San Luis Obispo County, she said. Before she releases them, Soleno ages her wines in barrel for 36 months, and then for an additional year in the bottle.